This was certainly one of the most intense and emotional moments I've had the honour of photographing in my career. 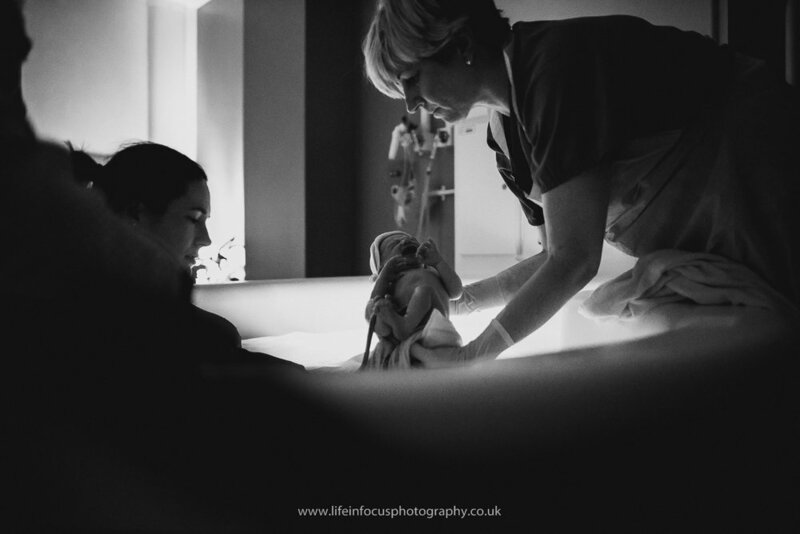 As a birth photographer, I am truly honoured and humbled to be invited into people's lives to photograph those they love. 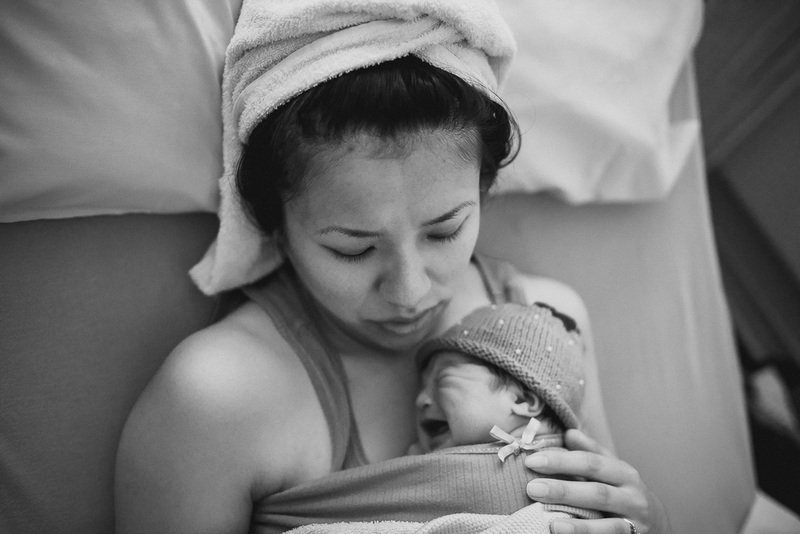 Inspired by a friend in Canada who had their child’s birth photographed, this Bristol family decided they wanted to document the birth of their second child. 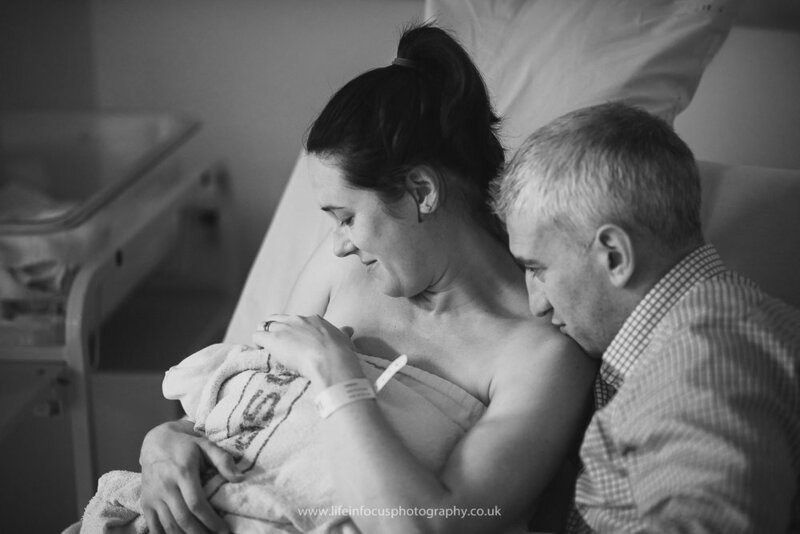 It’s not an uncommon thing in North America to have a birth photographer in the delivery room, but it’s not quite mainstream here in the UK yet. This is one of the most important moments in a family's life and I think it’s great that people in the UK are starting to see how precious these photographs will be in the future. I’ve heard that parents look back on their birth photographs as being more special to them than their wedding photos and I can understand why. 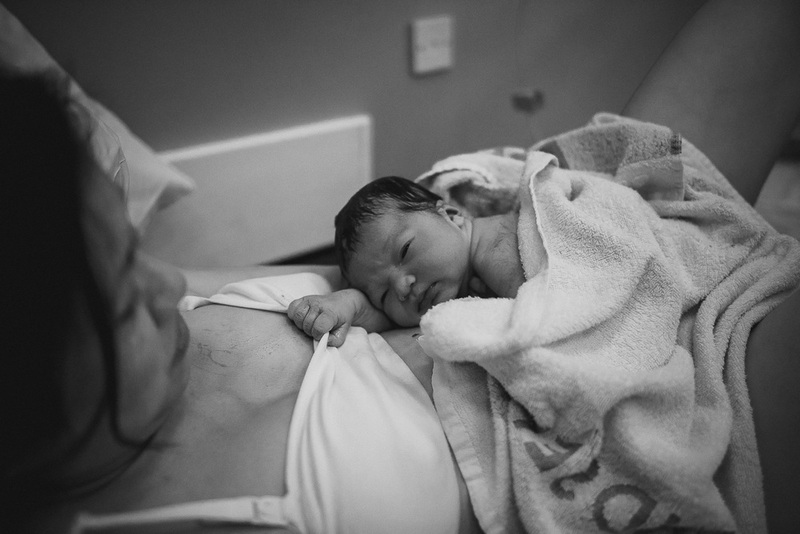 This is actually only the second birth I have photographed, the first being my own daughters! 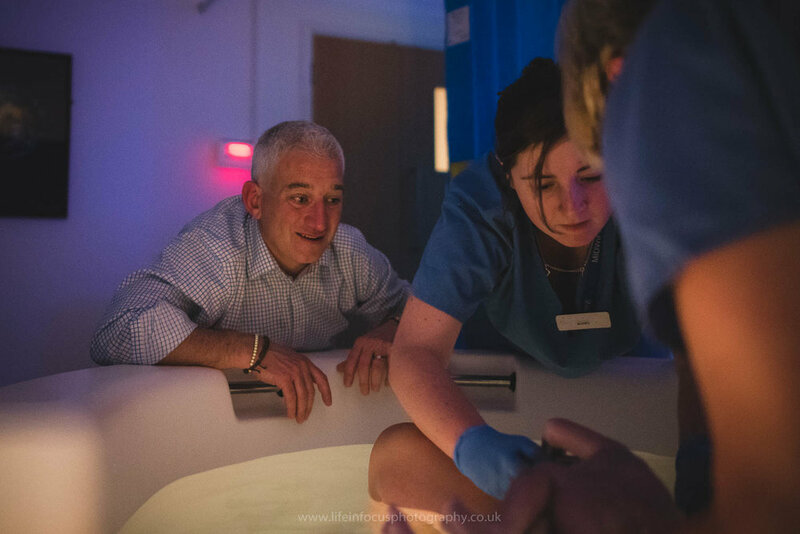 I understand therefore how monumental an event a birth is for a family and so I apply the same sensitive, documentary approach to birth photography as I would for a wedding or a family photo session, perhaps even more so. 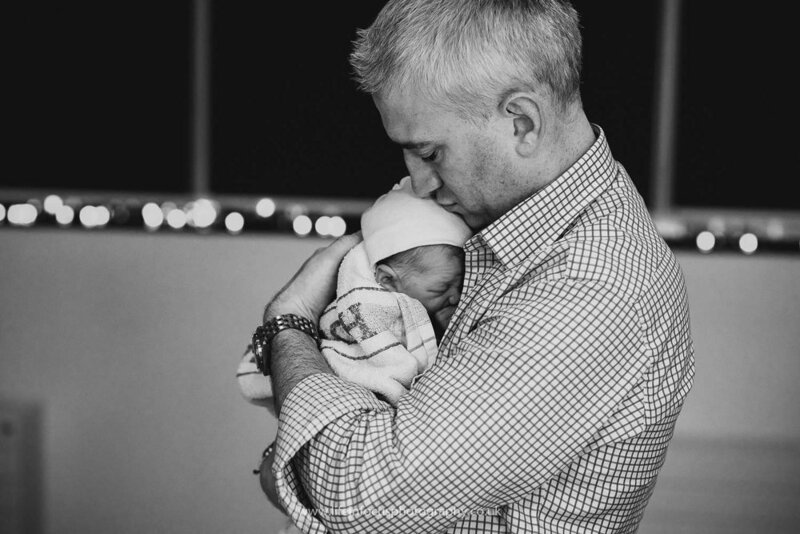 This was, of course, a very private and emotional moment for the family; there are many more images, like the weighing and the cord cutting, that the family received but we’ve kept them out to respect their privacy. I would like to pass on a very kind thanks to the parents and midwives, though, for consent to share these images as we both believe in getting this genre of photography into the mainstream, so other parent’s can consider having their child’s birth photographed in an artistic, respectful and documentary style. Even though it was dark with mixed coloured lighting (for photographer's, I'm talking ISO 12k, f1.8, 1/60s dark), the raw emotion overpowers any technical limitations that may result from such conditions and is where the right photographer with the ability work with their equipment in low light is so important. 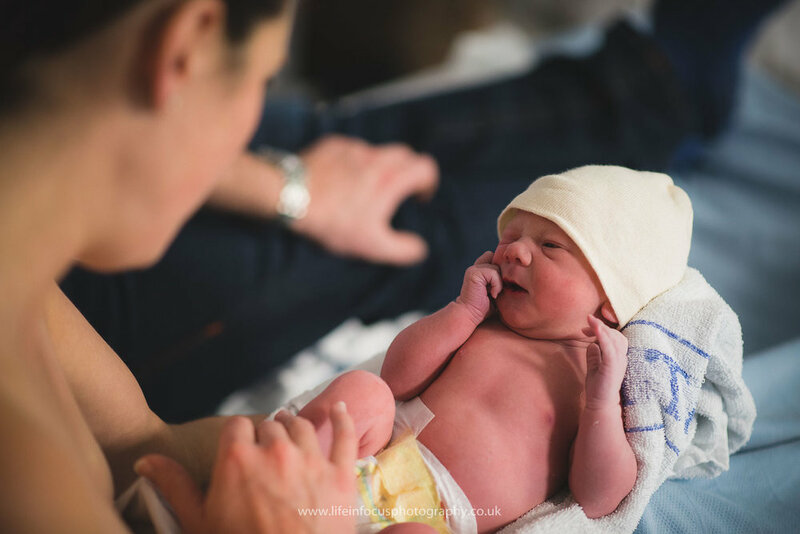 When expectant parents are looking to hire a birth photographer, it’s certainly important to meet up beforehand to make sure you want that person to be with you in the room. 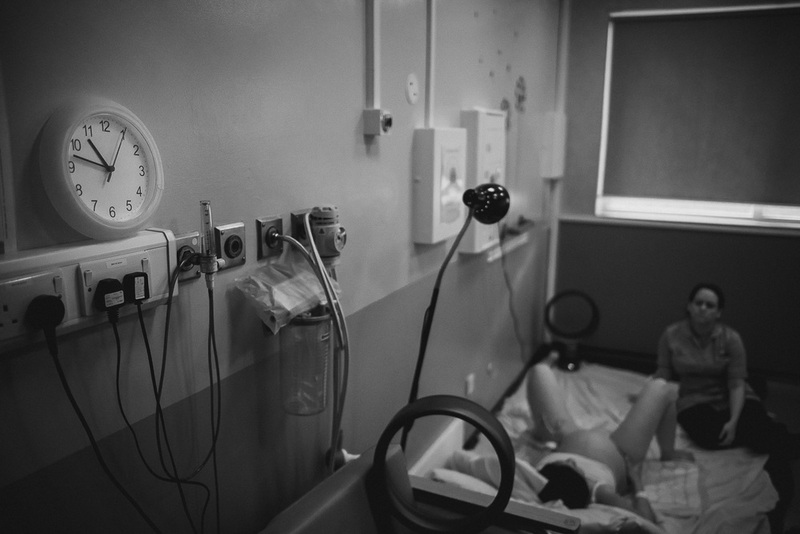 As for having a male birth photographer in the room, that is even more uncommon but as long as there is trust and respect, it should be no different than having male nurses and doctors in the room. 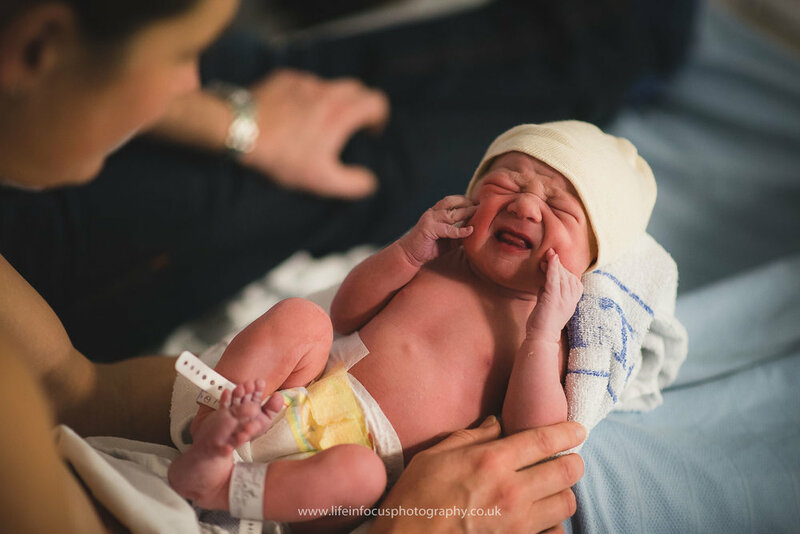 If you enjoyed these photos and are thinking of getting your own birth photographer, please do get in touch. One short year ago something happened that would forever change our lives for the better - our little girl was born. 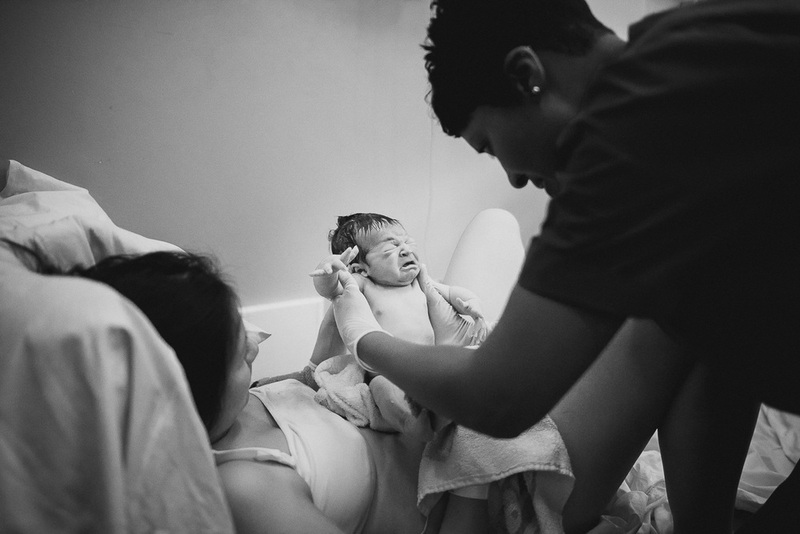 Birth photography was something I'd never done before, but I knew that it would be a blur later on in life if I didn't capture a few frames. I didn't want it to take away from being in the moment, however, so I made sure to only snap a few frames throughout the day, no more than is presented below. It didn't take away from the experience at all and we're both so glad that I did. 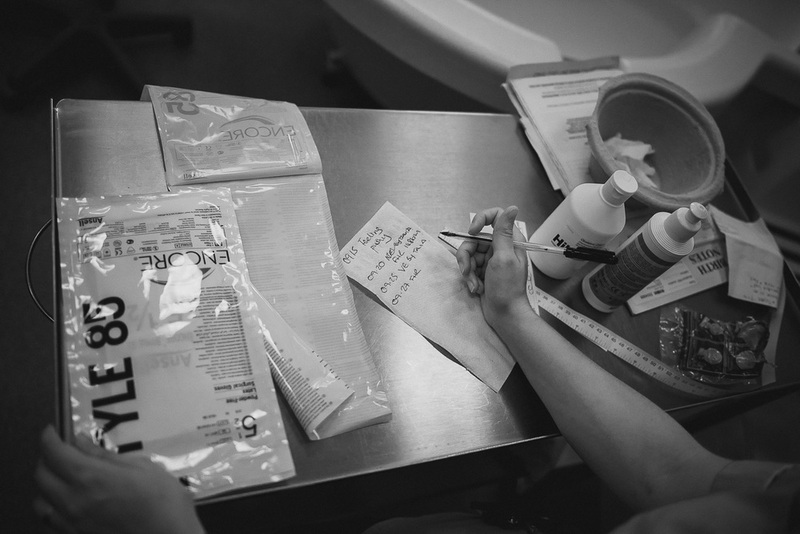 Mommy did so well that day and we're both so grateful for the two incredible, compassionate and caring midwives we had with us that day at the hospital.